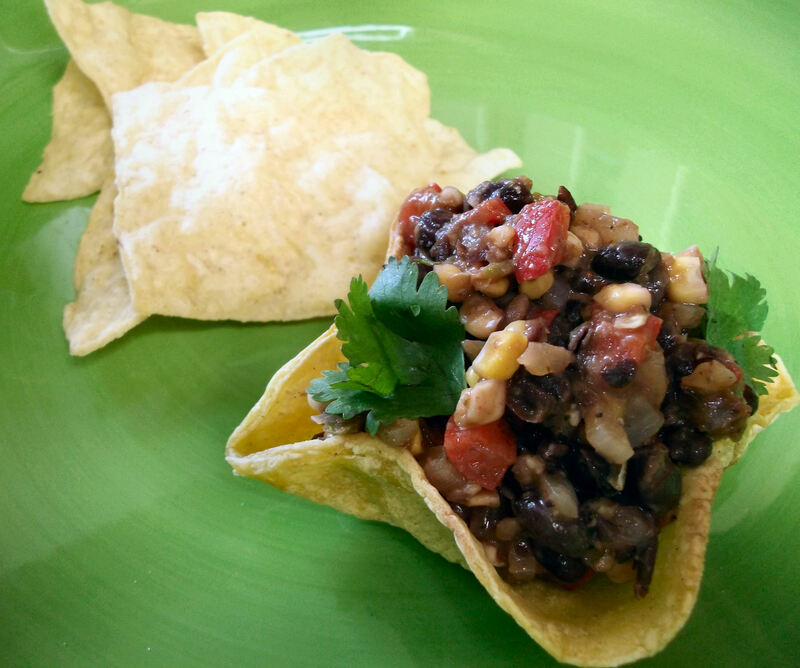 This is one of my favorite summer party sides. 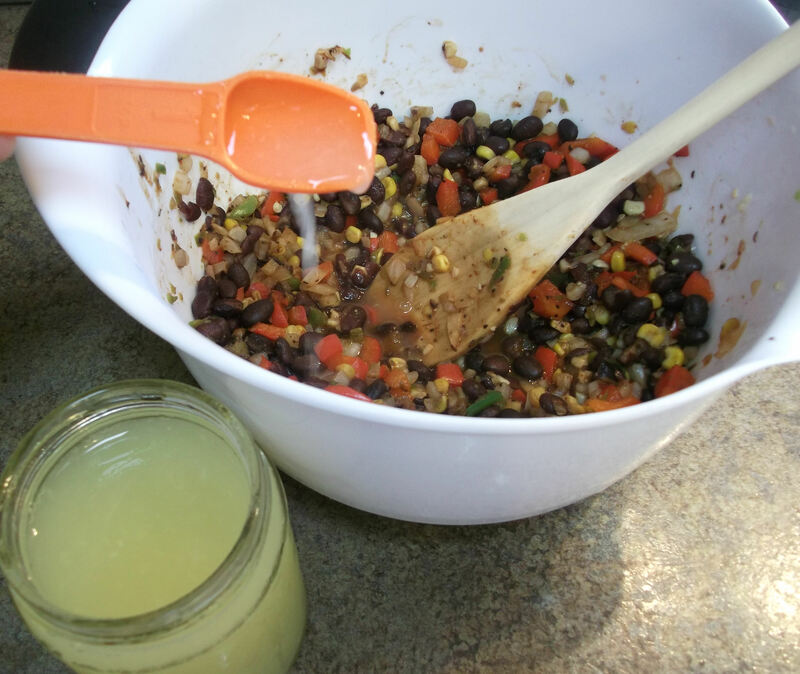 My mom has been making this for years, and it’s always a hit whether we add a little cayenne pepper to give it a little extra heat or just keep it mild. It’s great either way, with all the flavors going on. 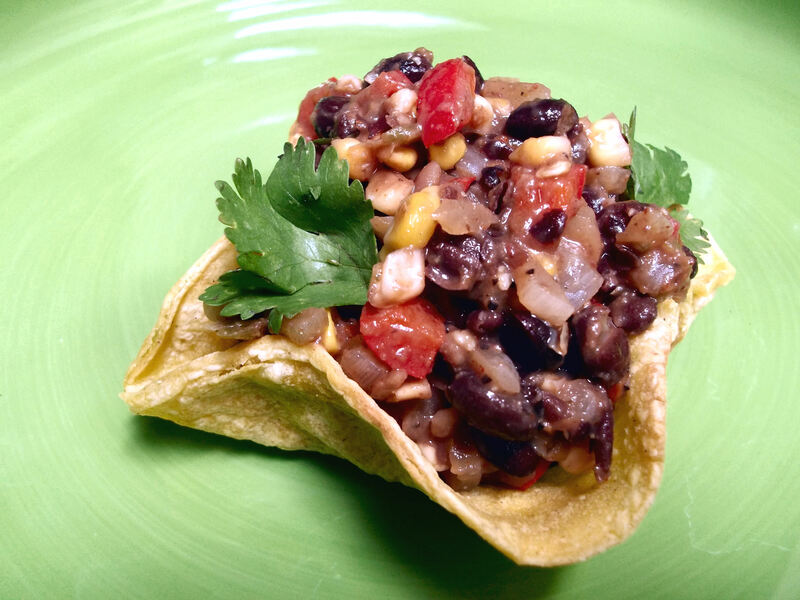 For a great presentation, serve it in small taco bowls. 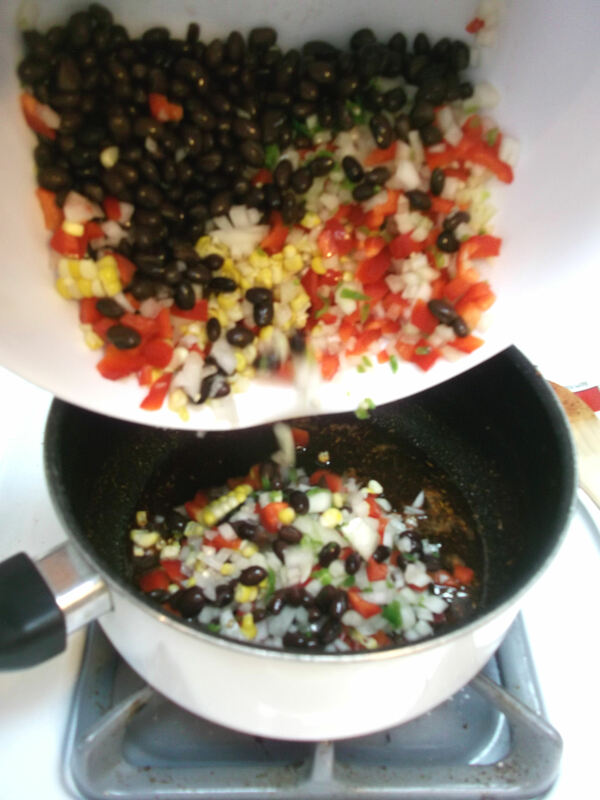 Combine beans, corn, and the chopped items in a large bowl. Combine the remaining ingredients — except the lemon juice — in a pan and bring to a boil. Stir until the sugar is dissolved. Add bean mixture to the pan, bring to a boil and then simmer one minute. Mash roughly half of the beans with a spoon against the side of the pan to thicken the mixture. Remove from heat, add lemon juice, and cool to room temperature. Refrigerate until served. Garnish with fresh chopped cilantro. 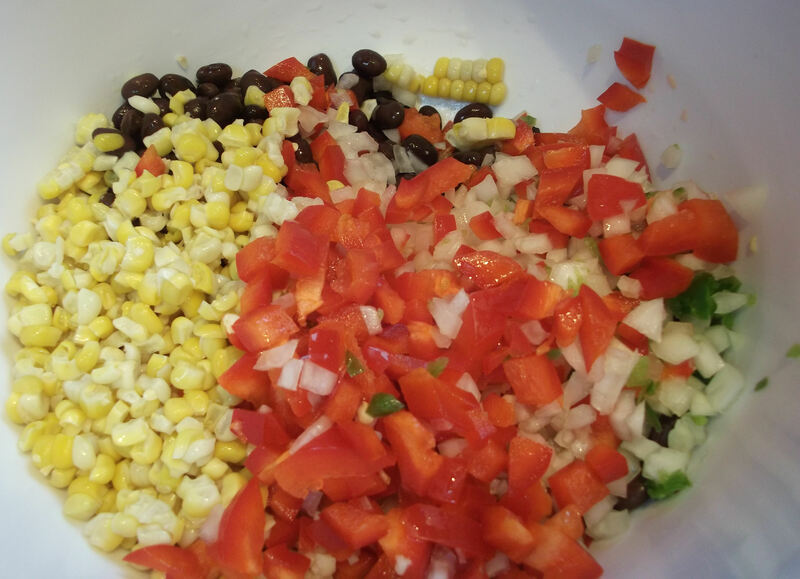 Combine beans, corn, and the chopped items in a large bowl. It’s so colorful! Combine the remaining ingredients — except the lemon juice — in a pan and bring to a boil. 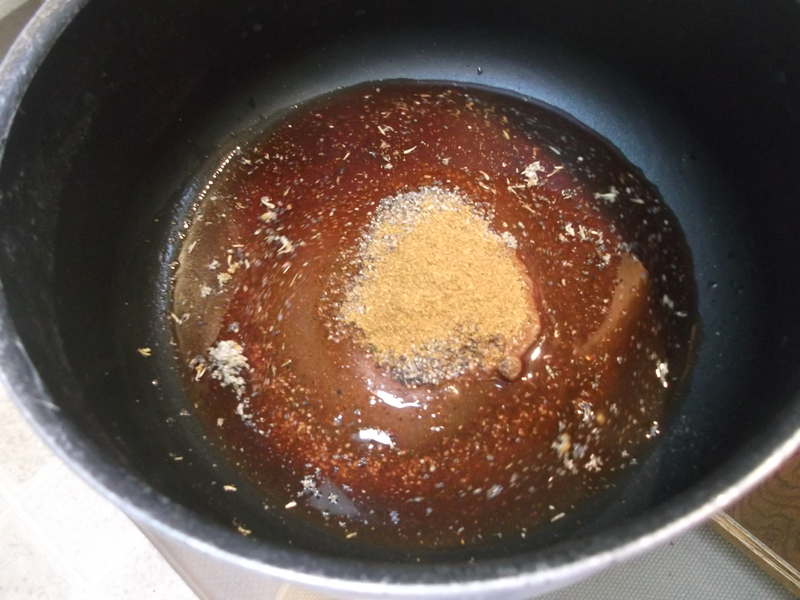 Stir until the sugar is dissolved, then add bean mixture to the pan. Bring to a boil and then simmer one minute. Transfer the mixture back to the large bowl, and to get a thicker texture, mash roughly one quarter to one half of the beans with a spoon against the side of the bowl. Or you can try a potato masher. 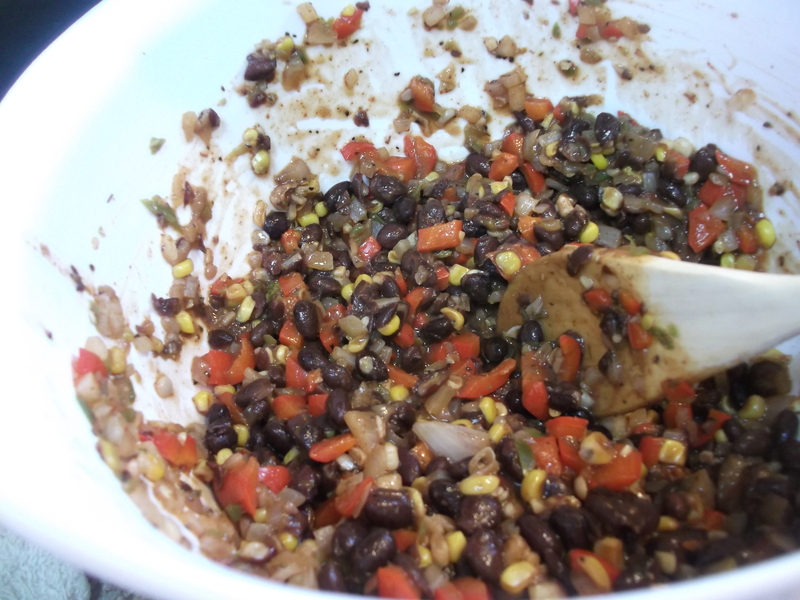 If you prefer, go ahead and just keep it all intact, but it sticks on the chips better when it’s a little mashed up, and I think it helps the flavors all meld a little more. Add the lemon juice, cool to room temperature, then refrigerate until served. Garnish with fresh chopped cilantro. And provide enough chips so your guests can polish it all off. Enjoy!